The Writers Guild of America West has launched a campaign to urge its members not to work for free. If you dream of becoming a writer, you have to eventually sit down and write. Whether you’re doing National Novel Writing Month in November, or you dream of being a writer “someday,” the first inescapable step is making the time to do it. Here’s a 15-minute exercise toward that end that you can do today. 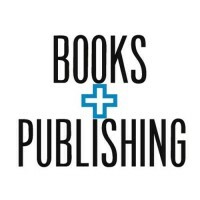 Penguin Random House, the largest publishing company in the United States, is merging two of its most prestigious publishing lines, Random House and the Crown Publishing Group. A scammer has been trying to steal manuscripts by spoofing their email address to make it look like messages are coming from literary agent Catherine Eccles, owner of the international scouting agency Eccles Fisher. The scammer is targeting literary agencies, asking for manuscripts, authors’ details and other confidential material, as the industry publication the Bookseller reported on Thursday. The attack on Eccles Fisher is just part of a broader, global spate of phishing attacks that’s prompted Penguin Random House (PRH) North America to issue an urgent warning to all staff just as the five-day Frankfurt Book Fair began, the Bookseller then reported on Friday.